The spaghetti dinner fundraiser can be a very simple and effective way to raise a considerable contribution to advance the In God We Trust Foundation’s mission. It can be a success on its own, or it can be combined with other fundraisers, like drawings or a 50/50 raffle. You can also hold silent auctions for multiple items during the dinner. This fundraiser will require a large seating area with a kitchen (maybe a school or church). You will need plenty of spaghetti and sauce. Buy the spaghetti and the canned tomatoes for the sauce at a bulk food store such as Sam’s or Costco. Someone who regularly makes his or her own spaghetti sauce should have the task of making it for the event. Italians are said to be very good at this You can make it the day before and heat it up at the event. However, you will want to do your guests a favor and cook the spaghetti the day of the event. And have plenty of it! It is important that the dinner have a homemade quality that your patrons will appreciate. You will need plenty of seating with tables. If they’re not washable tables, you might consider disposable tablecloths, or plastic liners that you can wipe off in between guest. Keep in mind that “bigger is better”: you’ll want to have plenty of large pots, colanders, spoons, tongs, and ladles on hand. Try providing a side dish, like garlic bread and/or a salad. (And for your carnivores, meat sauce is a good option, too. But definitely make certain to have meat-free sauce on hand.) Keep cheese and other foodstuffs (e.g. salad dressings, butter) already on the tables. 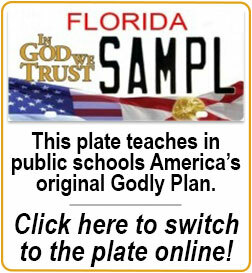 Raising funds to teach in public schools the significance religion has played in American and Florida history. 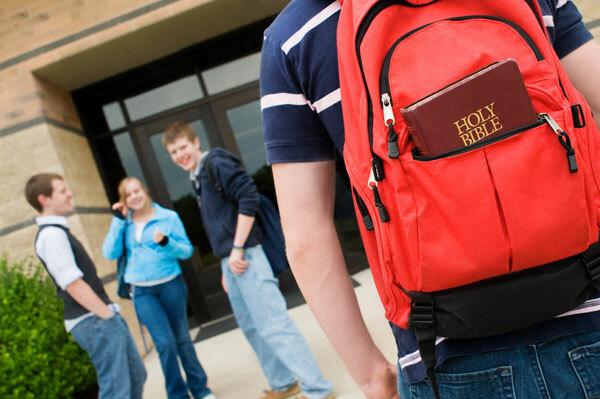 God in schools! Raising funds for education of children of military service members and law enforcement. You will also need plenty of volunteers. Get as many volunteers as possible (10-15). You need people to cook, clean the tables, plate the food, and seat guests as well. You might need people taking orders, depending on how you do your dinner. You may just have people form a line past the cook who places their order on their plate as they move by and take their seat. During the dinner you will need volunteers to collect money from your patrons. You will need at least two or three “chefs.” You need people to clean the tables and seat guests as well. You might have volunteers place patrons’ orders on the back side of their plate with a Sharpie marker. It’s best not to offer to-go boxes. The “all-you-can-eat” dinner can cost $5-$7. Make children under 13 only $2. Add $1 for garlic bread or something else. Hold a raffle for some extra cash. Sell tickets to guests who are already eating for a dollar or two each. Or 5 for $3s. If you can’t get a good enough prize donated, do a 50/50 raffle where one person gets 50% of the raffle earnings and the fundraiser gets the other 50%. You still keep all the proceeds from the dinner. Ask for donations. Place a large jug or bucket next to the cash register and label it as the place for donations. Even if people only donate change you will collect a considerable amount. It’s best not to offer to-go boxes. Make sure you have signs up to let people know who they’re supporting. Have signs directing people to the event that day.